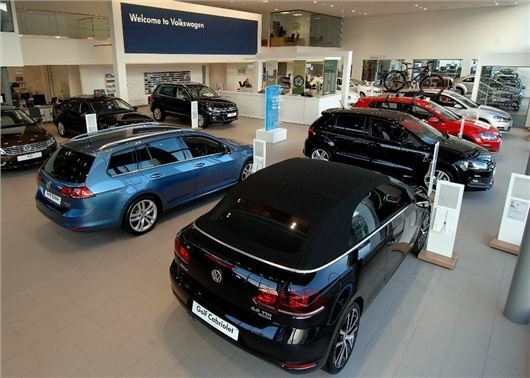 With low borrowing costs, low fuel costs and a huge boom in new models, HonestJohn.co.uk research shows March is the best time of the year for buyers in search of a bargain. The study has revealed that there has been no better time in the past half-decade to fund a car purchase as the typical APR for car finance has dropped by more than three per cent over the past four years. At the same time, the number of high-street lenders offering finance deals has increased dramatically. The reason for this is that the price of borrowing is at an historic low - with the UK base rate of 0.5 per cent finally filtering down to car buyers. March will also see buyers taking advantage of the low cost of fuel. Compared to last year, a typical Volkswagen Golf 1.2 TSI owner - covering 10,000 miles per year - pays on average £200 less a year on fuel. Insurance costs are also at their lowest in years thanks to savings from an increase in car safety technology, e.g. autonomous emergency braking, and insurers clamping down on fraud. This March, car buyers will be able to capitalise on a boom of new models, with Ford, Skoda and Volkswagen all releasing their 2015 models. As a result, some dealers will offer as much as 30 per cent off list prices. New versions of some of Britain’s most popular models; the Focus, Mondeo, Fabia and Passat, will all reach UK showrooms in time for March 2015. This month will also see SUVs continue their upward trajectory with the new Fiat 500X, Land Rover Discovery Sport and Honda CR-V making their UK debuts. It will also be the biggest ever time for alternative fuel vehicles - with more people than ever buying electric and hybrid cars. The traditionally quiet January sales market saw nearly 2000 claims for grants for electric and hybrid cars and it’s estimated that March will surpass this figure considerably. Last year, 20 per cent of new cars were purchased in March. This trend is set to continue making March 2015 the most popular time of this year to buy. According to statistics from the Society of Motor Manufacturers and Traders (SMMT), 19 per cent of all car purchases for 2014 were registered in March 2014 (a total of 464,824 new cars).